This post is just some notes about Entity Animation and Rotations which I had to learn the hard way and might be of interest. 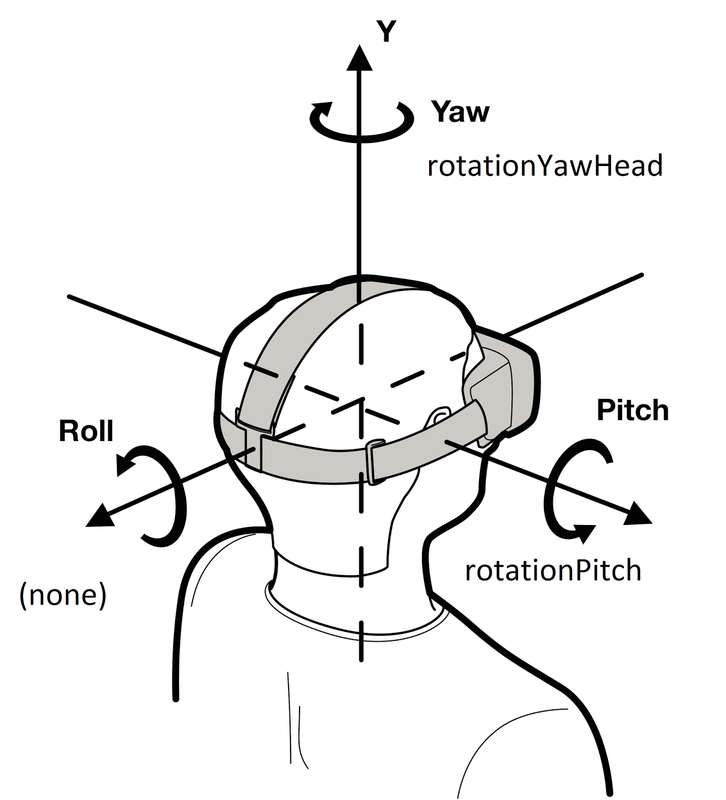 Minecraft variables used for head orientation. The position of the Entity is given by posX, posY, posZ, which corresponds to the centre of the body, at the entity's feet. In order to get the entity's eyes you need to add Entity.getEyeHeight() to the Y position. rotationYawHead, which indicates which way the head is pointing left<-->right. 0 degrees is south and increases clockwise. 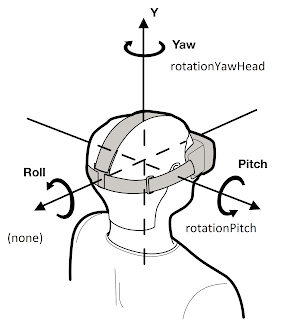 rotationPitch, which indicates where the head is looking tilting up/down. 0 degrees is horizontal, -90 is up, 90 is down. renderYawOffset, which indicates which way the body is pointing, similar to rotationYawHead. It is used for rendering. rotationYaw, which indicates which way the body was pointing when it last moved. This is similar to renderYawOffset, however it is used in different ways not directly related to the way the entity is rendered. This code is executed on both client and server. b) If the entity is not looking at anything, the method slowly returns the head yaw to match the body yaw. If the entity is moving, it will also constrain the head yaw to be within +/- 75 degrees of the body yaw. EntityMoveHelper is used by AI on the server side to set the rotationYaw. LimbSwing and LimbSwingAmount are animation parameters/timers used for animating the leg positions properly when the entity is moving. Although rotationYaw is passed to the RenderLivingEntity, it doesn't use it for rendering the model. It is used when rendering some other Entity types, or (for example) when rendering name labels. YOu are talking about the pitch at the beginning ... but I see that it is never passed to the doRender and doRenderEntity methods. I created a fish mobs, which rotate perfectly, but I was never able to adjust the pitch. I am hunting that thing for months. I'm not sure I understand exactly what you mean. Perhaps you are getting head pitch and body pitch mixed up? Only heads have pitch; body doesn't have pitch. If you want your fish body to have pitch, you will need to add custom code inside the renderer you use for the body. Download the Unblocked Minecraft for free.